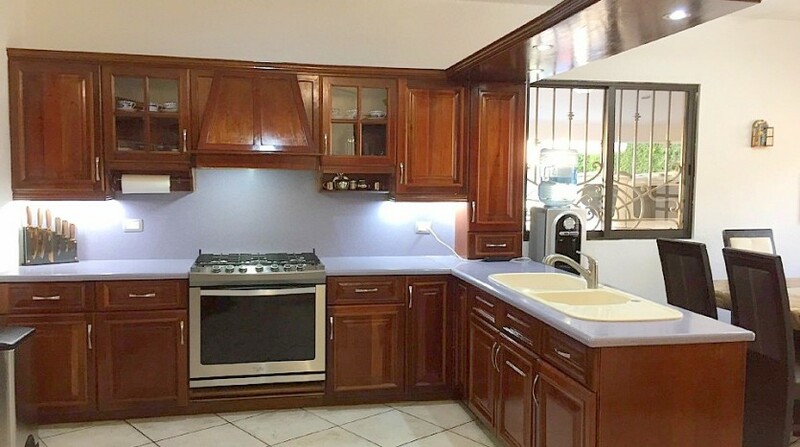 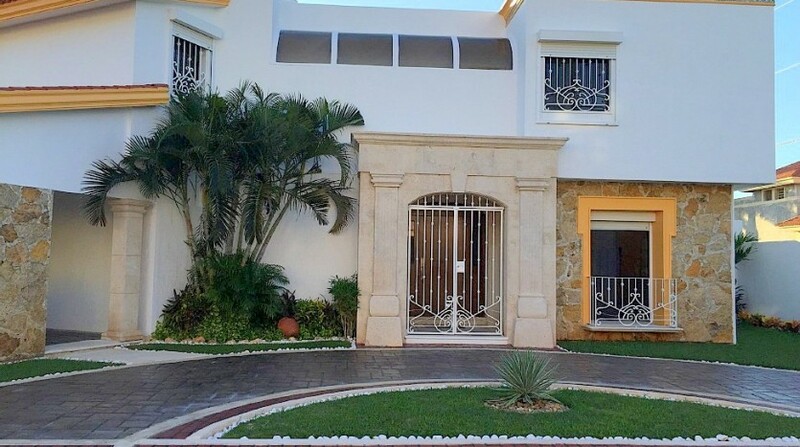 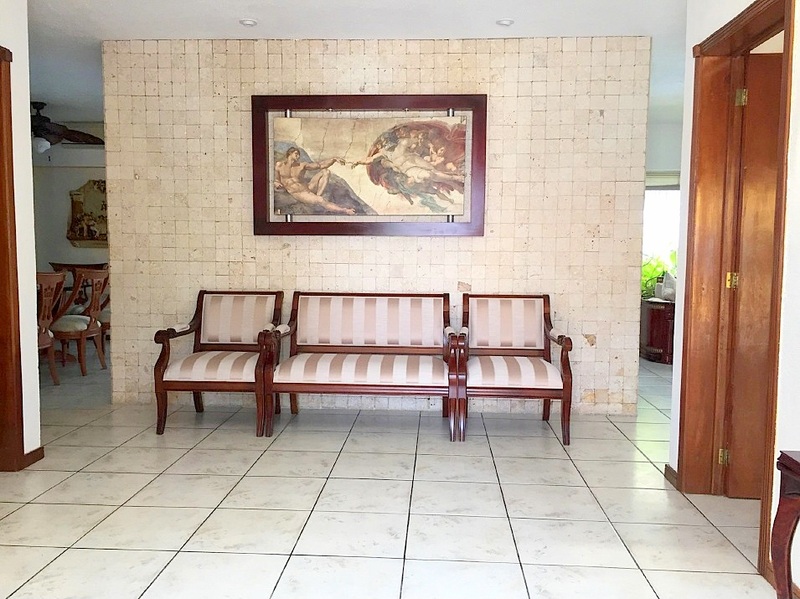 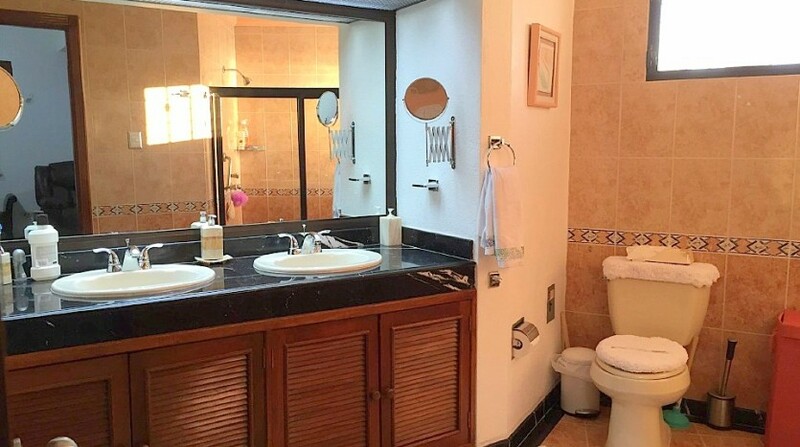 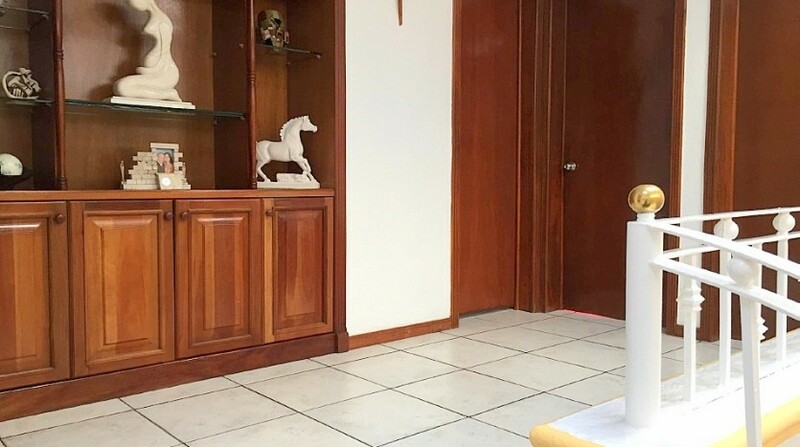 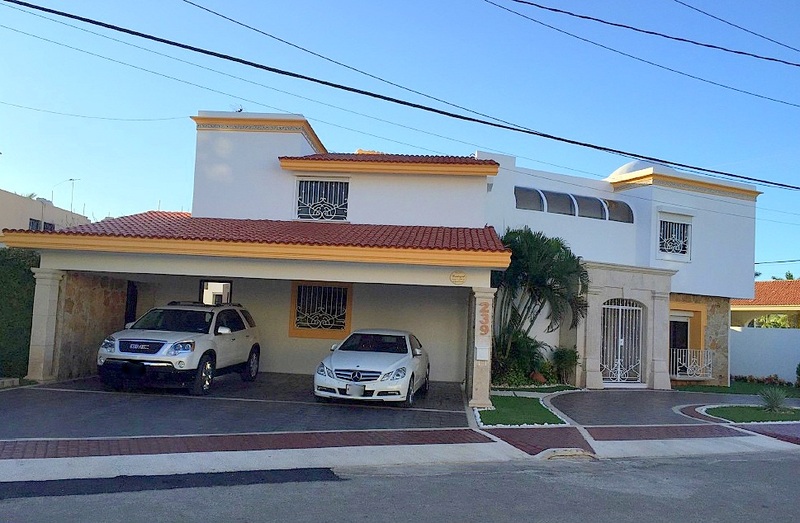 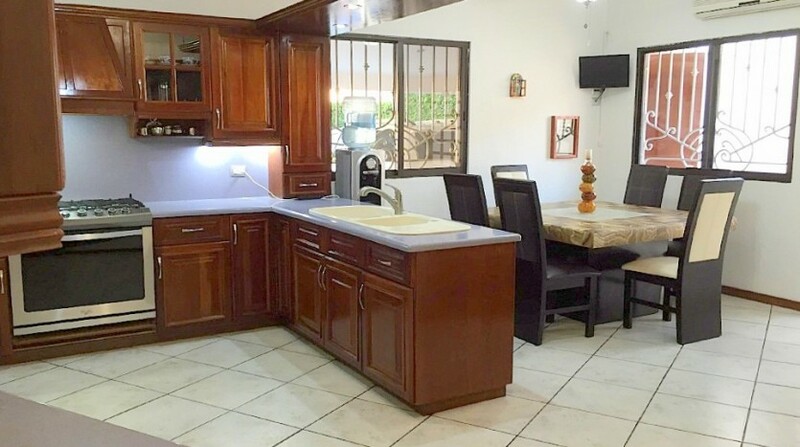 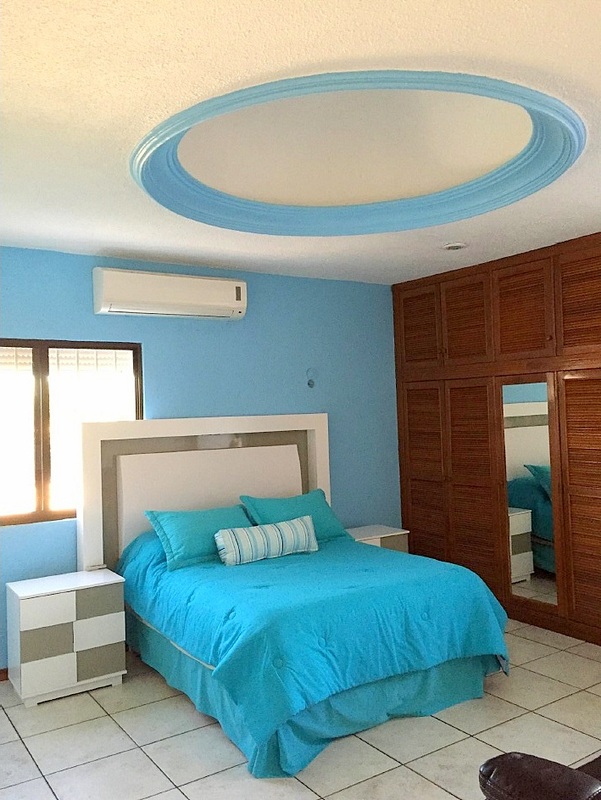 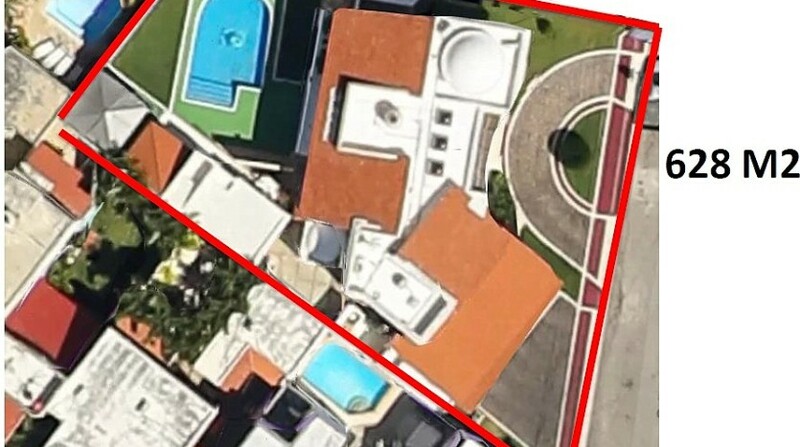 This absolutely beautiful residence is situated on a dead end street and located ideally among City Center, Plaza Altabrisa, Country Towers, and the three other new malls currently under construction, as well as being convenient to the periferico, Merida’s highway loop around the entire city. 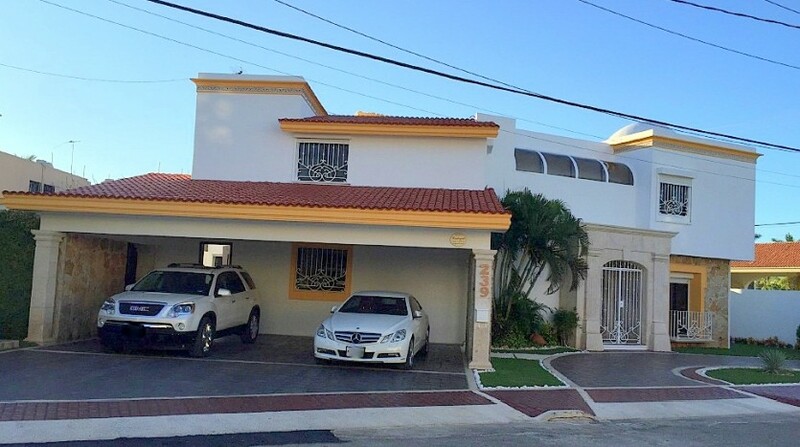 Front roundabout with space for two additional cars. 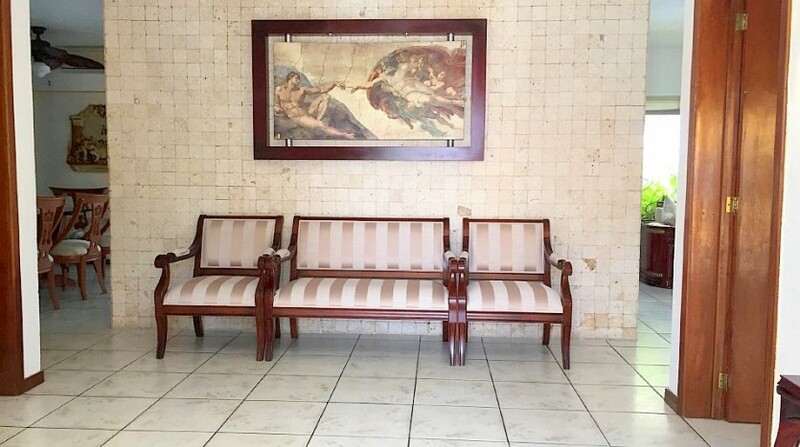 Grand quarried marble entry facade. 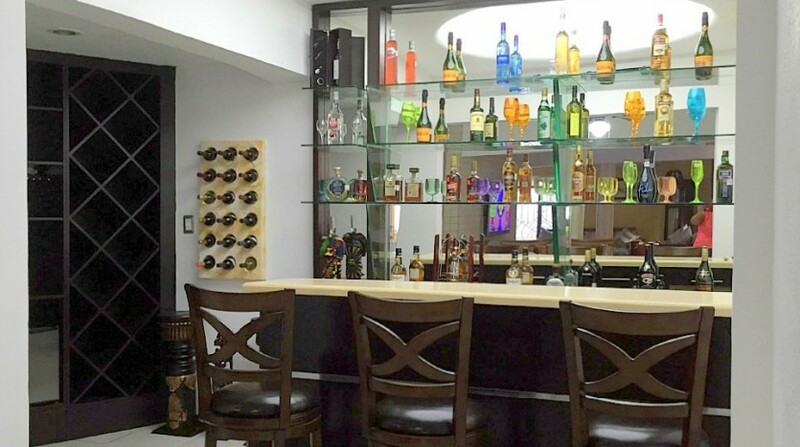 Marble bar with 3-meter mirrored display case. 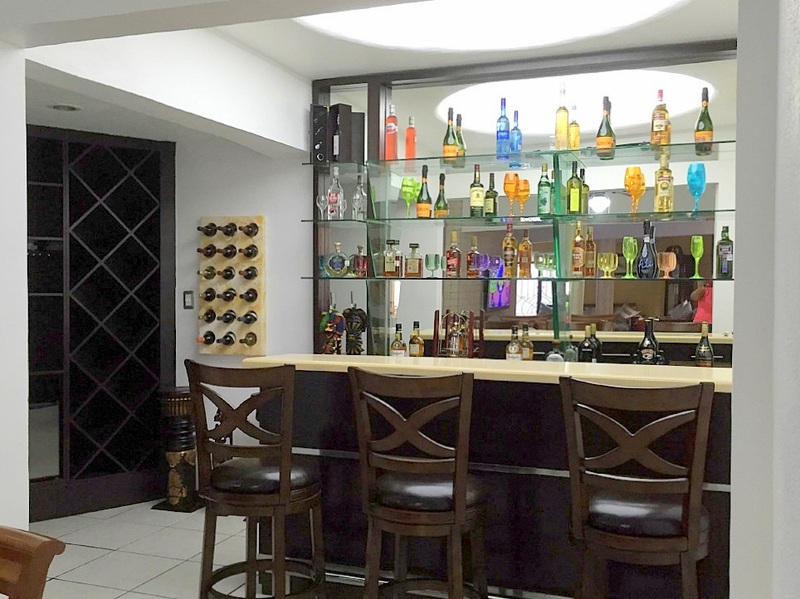 Wine cellar built with wood and marble. 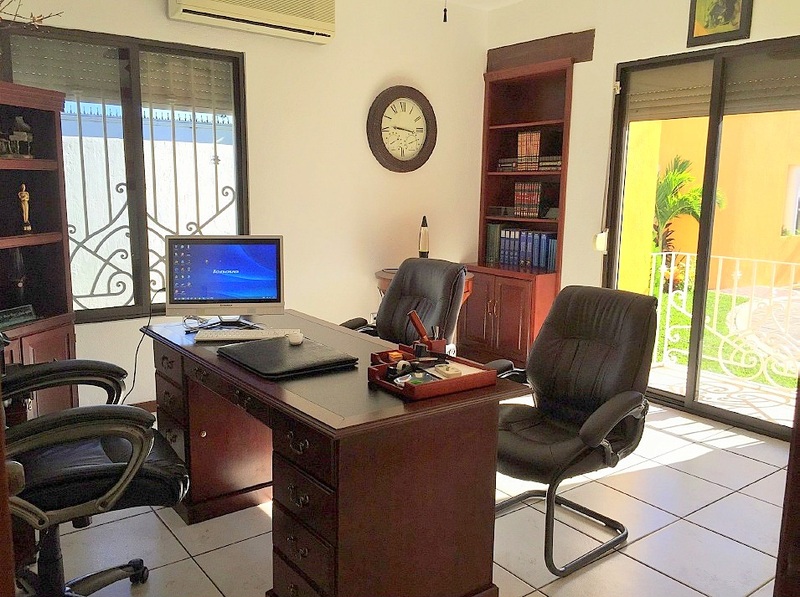 Office/library with air conditioning, ceiling fans and balcony. 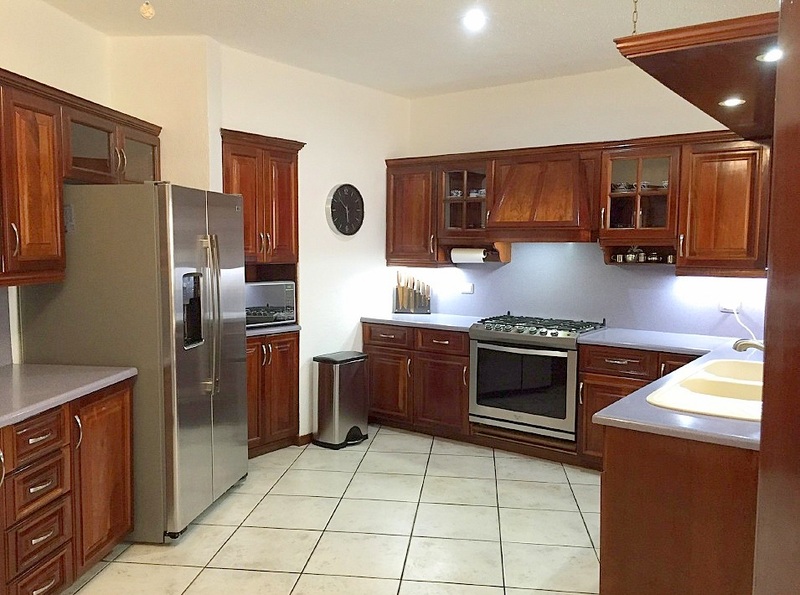 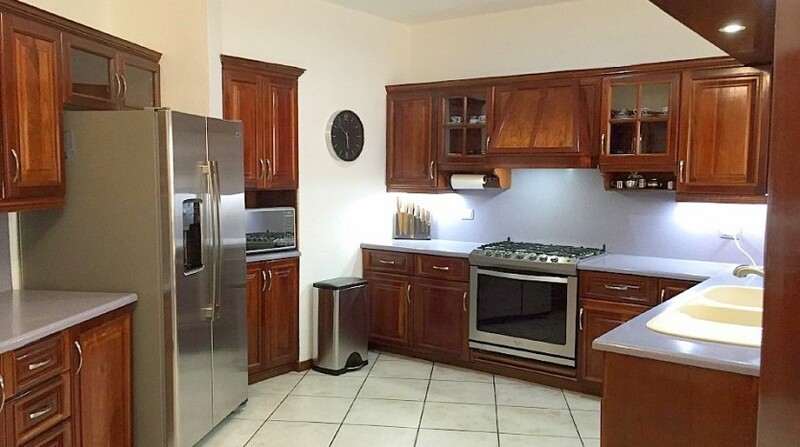 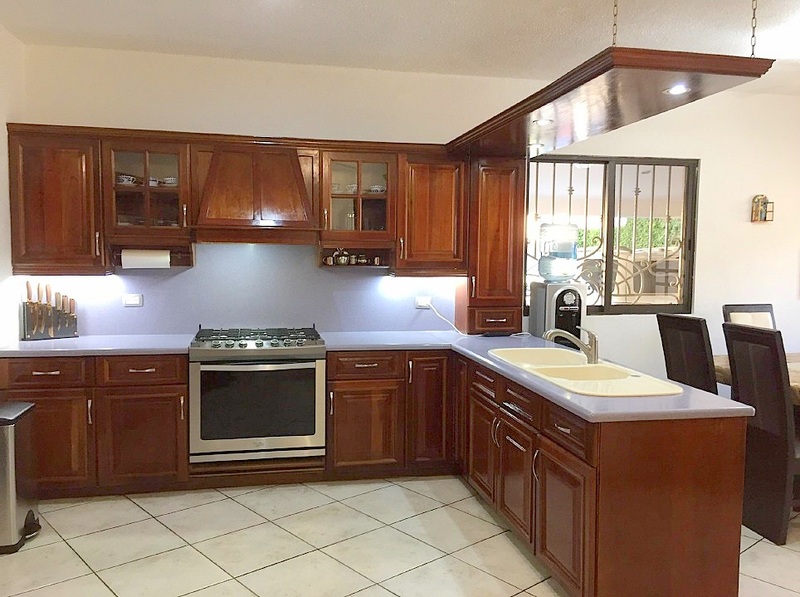 Modern air conditioned kitchen with pantry and fine wood finishes. 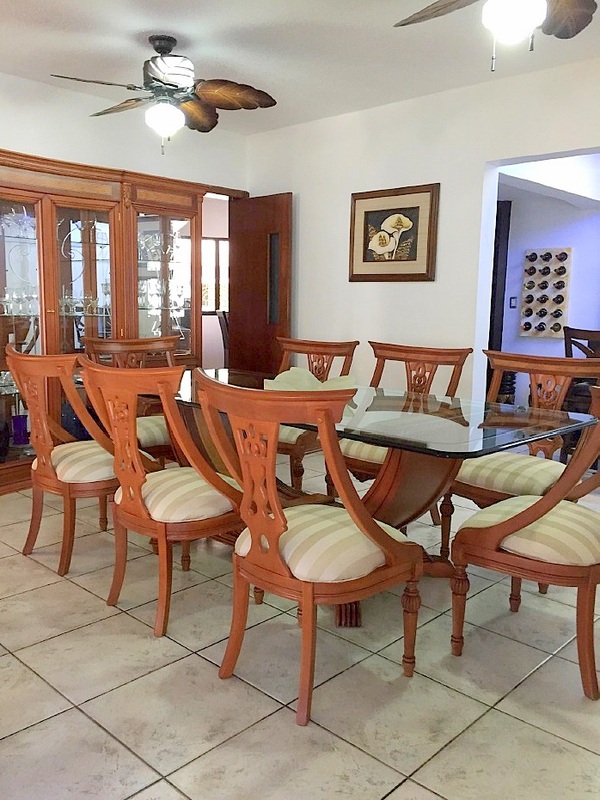 Large breakfast area with air conditioning and ceiling fans. 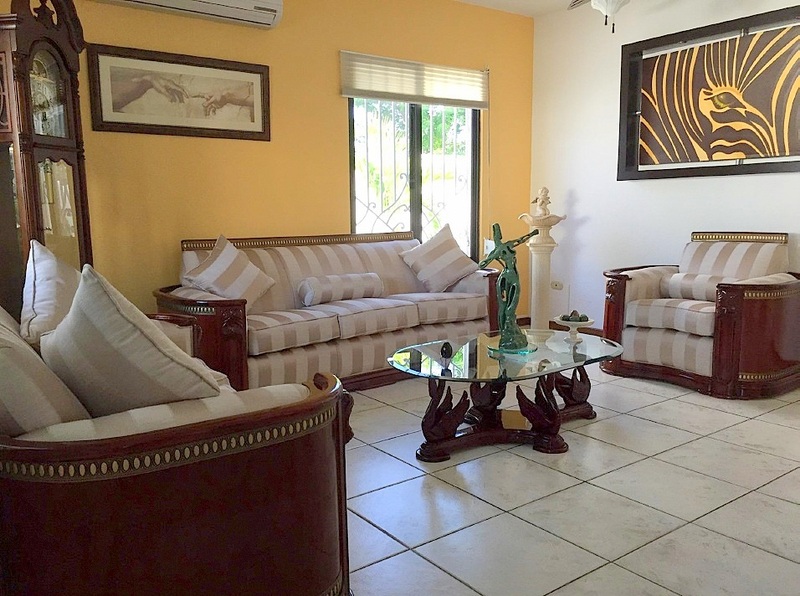 Air conditioned formal living room. 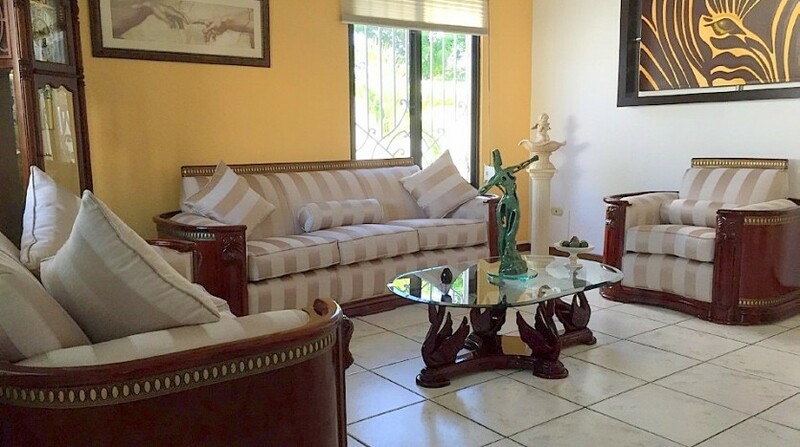 Large air-conditioned room Family Room (tv area with lighted onyx columns). 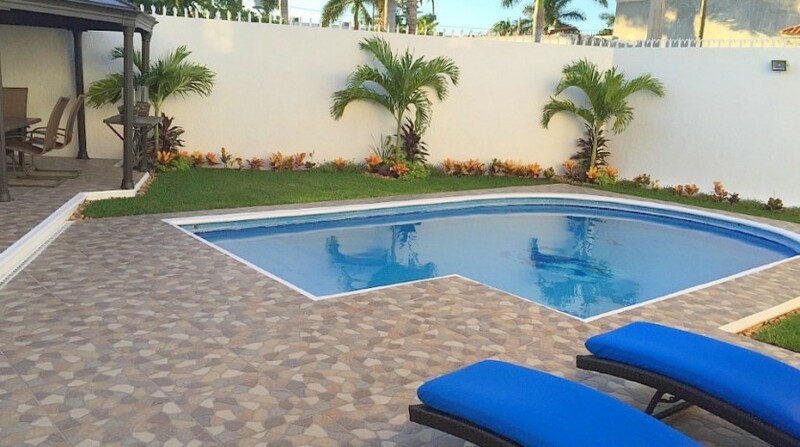 Custom Venetian tiled pool with anti-slip surrounding floors. 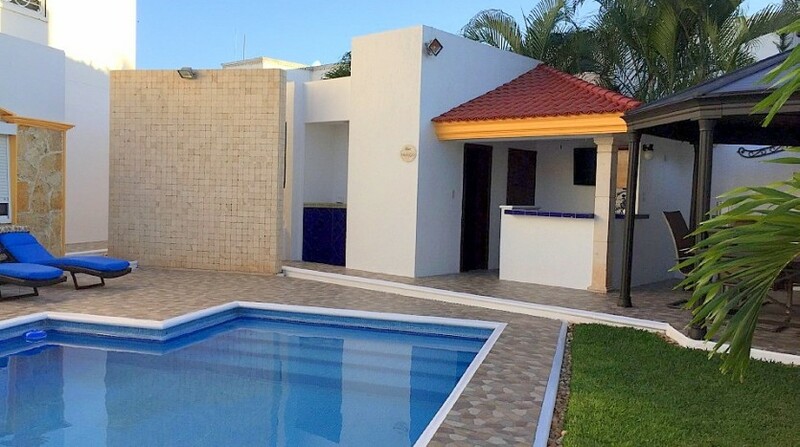 Exterior roofed bar area, gazebo, shower, bathroom and cellar. 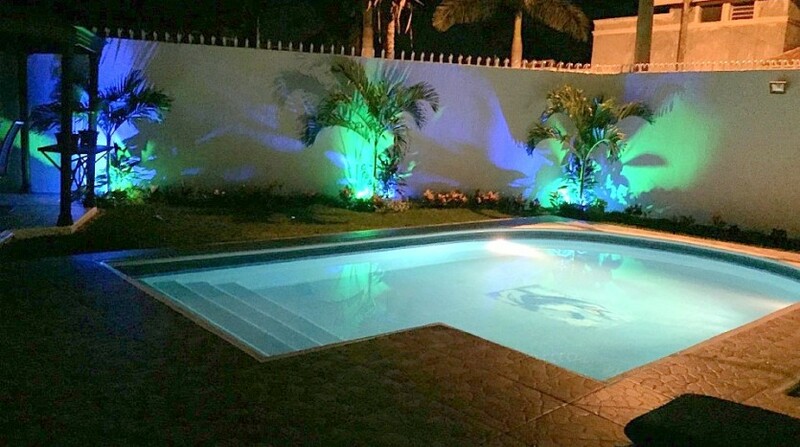 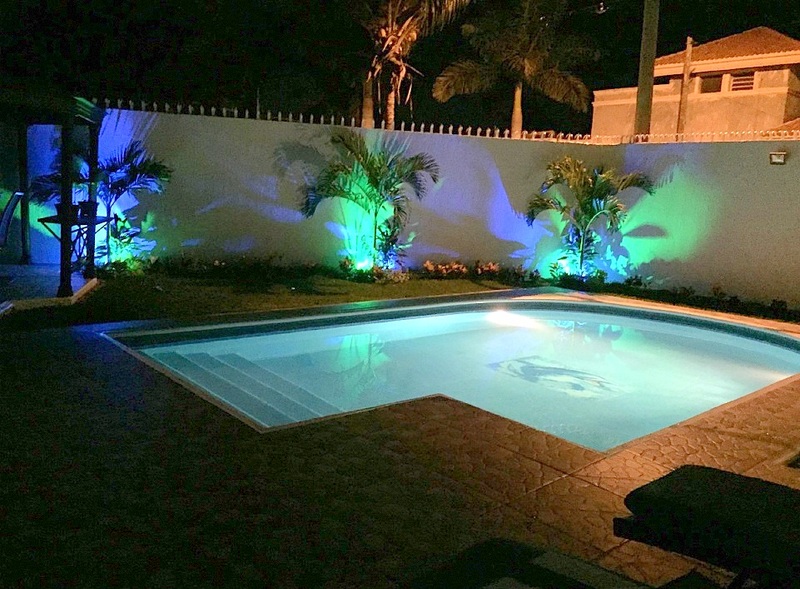 Large gardens around the pool with modern colorful lighting. 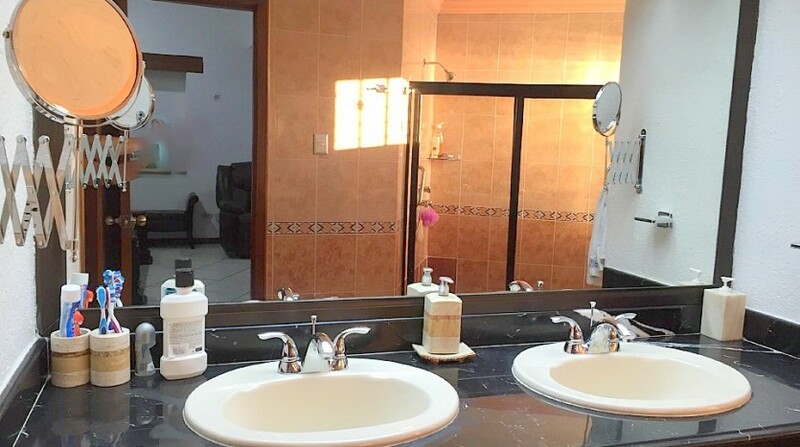 Utility room with bathroom, laundry and linen closet with fans. 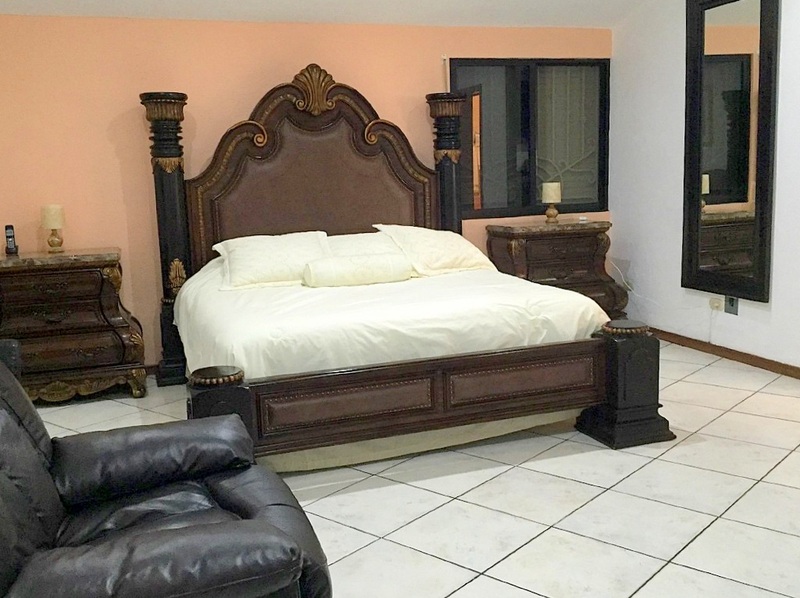 Master bedroom with walk-in closet, air conditioning, bathroom with double sinks, large shower, and modern luxury finishes. 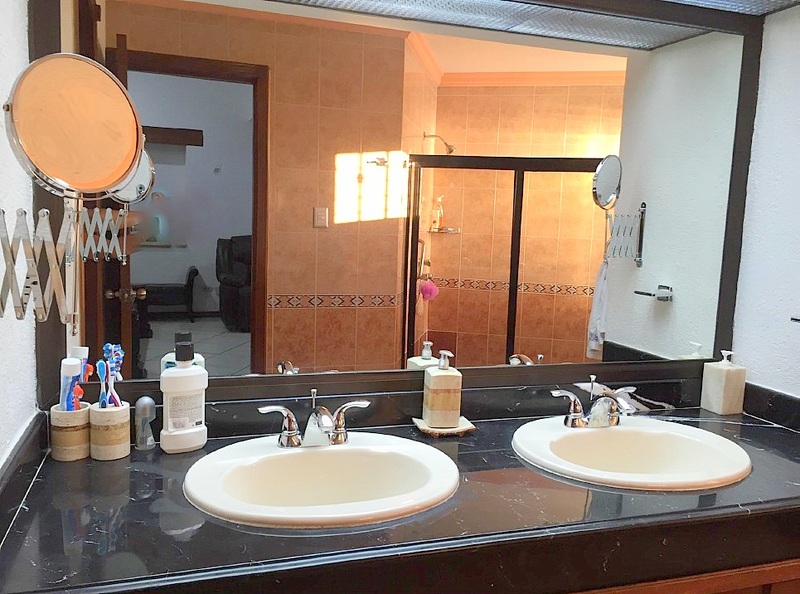 3 additional bedrooms (one with separate bathroom and two bedrooms share a bathroom) with air conditioning and ceiling fans. 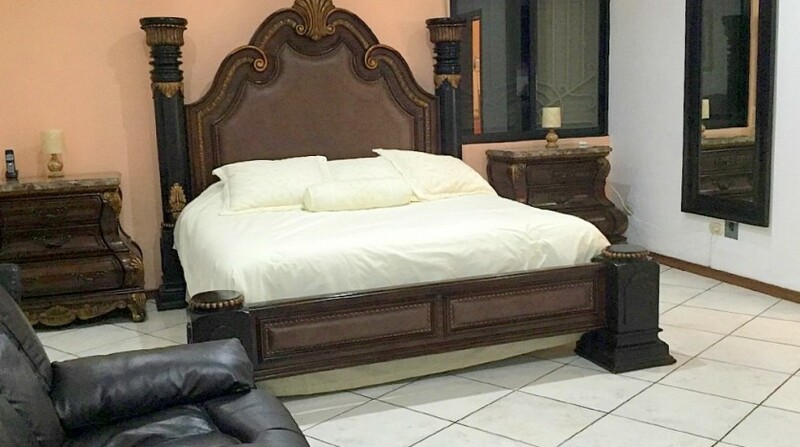 Closets, fine wood finishes and luxuries. 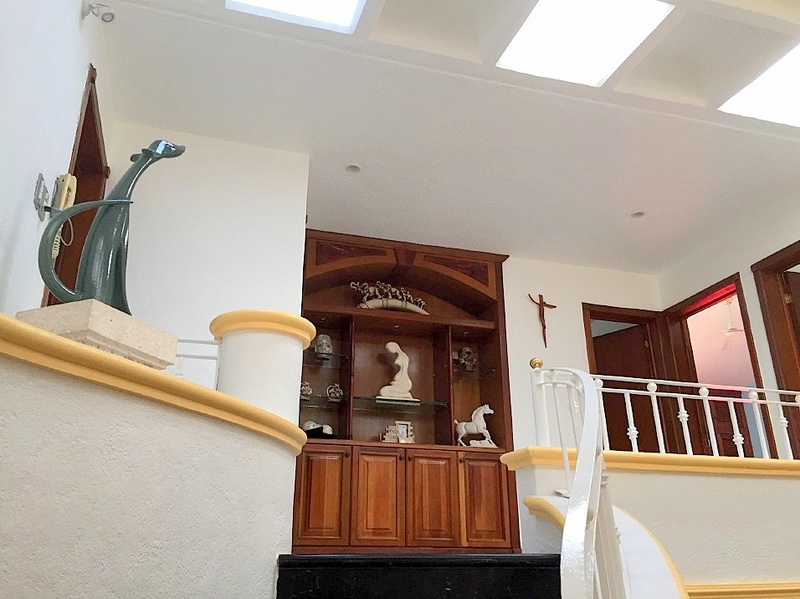 Hall between bedrooms with decorative wood furniture and fine, recessed wall sculptures. 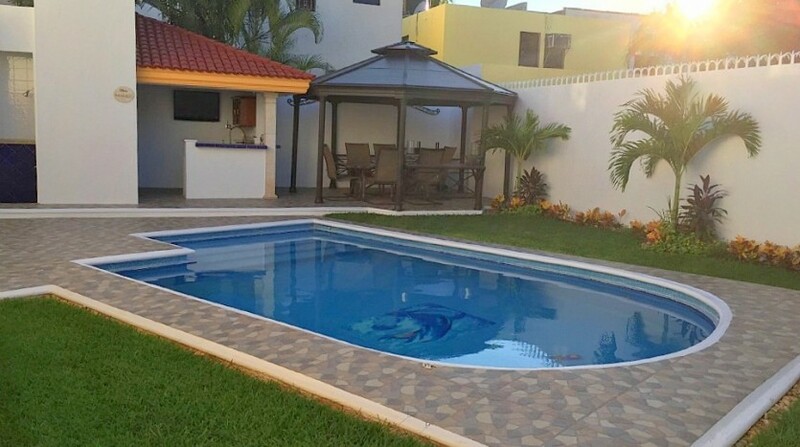 Irrigation pump and deep well for the pool. 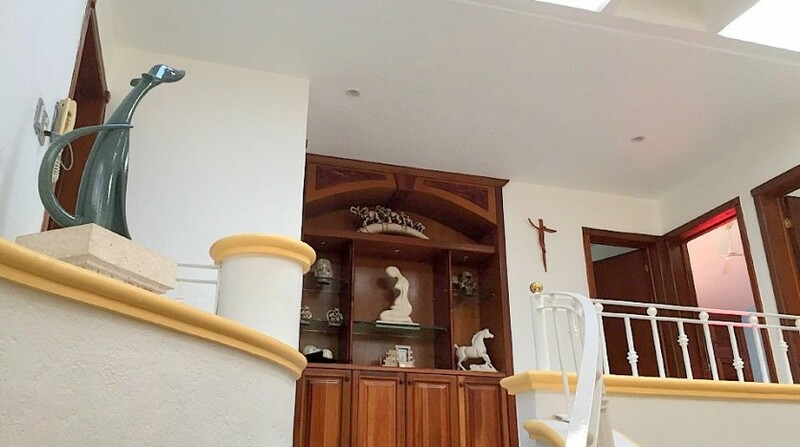 The whole house has burglar bars for lock and leave security. 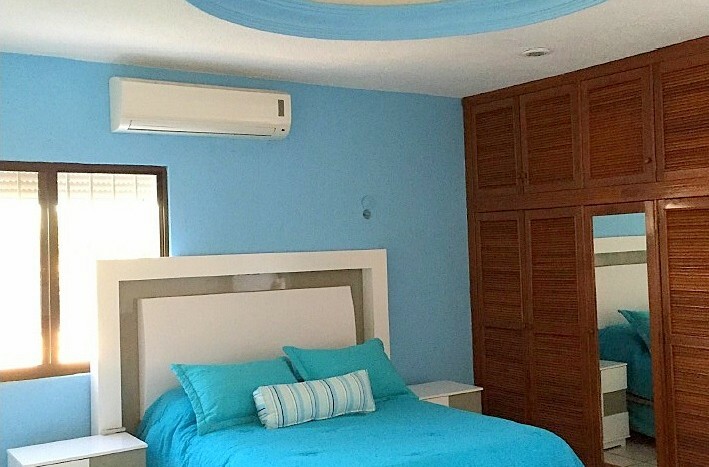 The whole house has electric anticyclonic curtains and manuals. 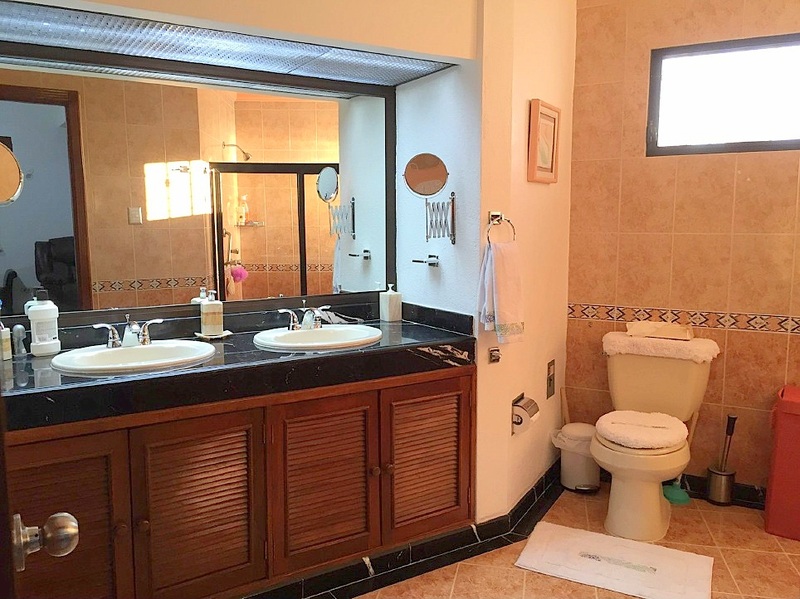 It has 9 air-conditioning units – 5 for the ground floor and 4 upstairs. 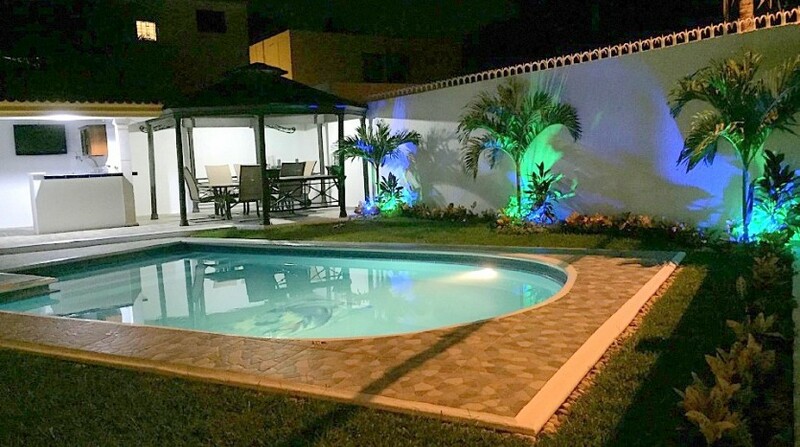 Front, rear and side gardens, all with modern lighting systems. 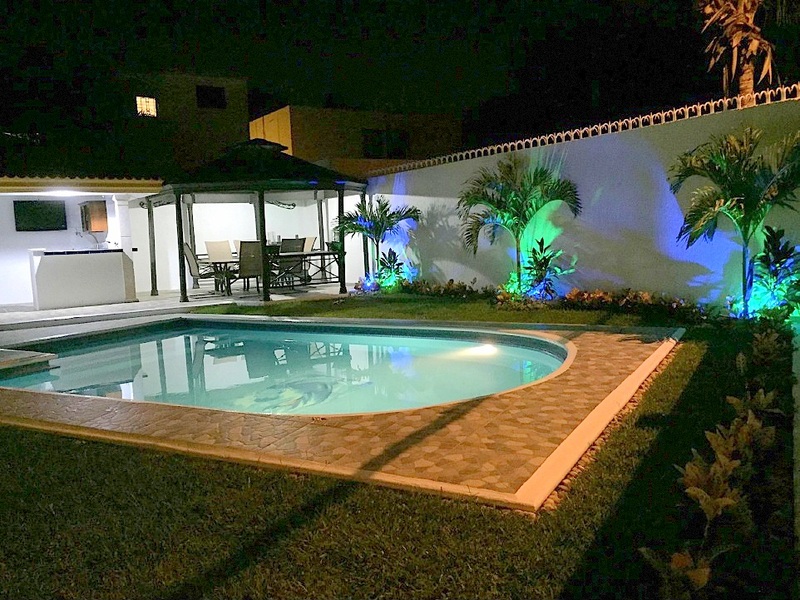 The whole house has modern, energy saving lighting systems. 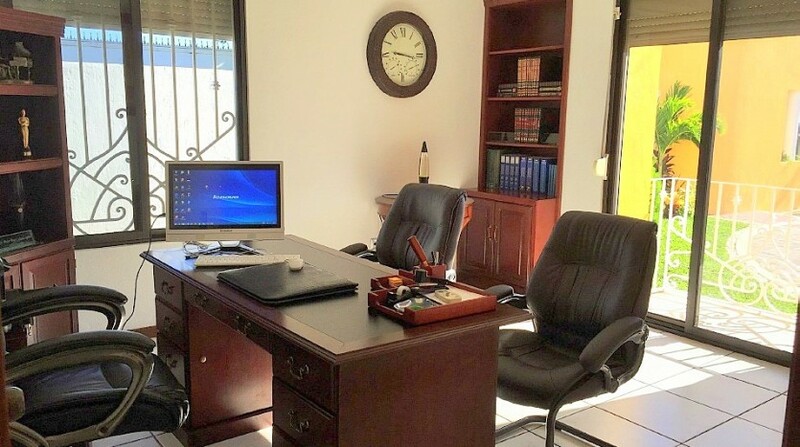 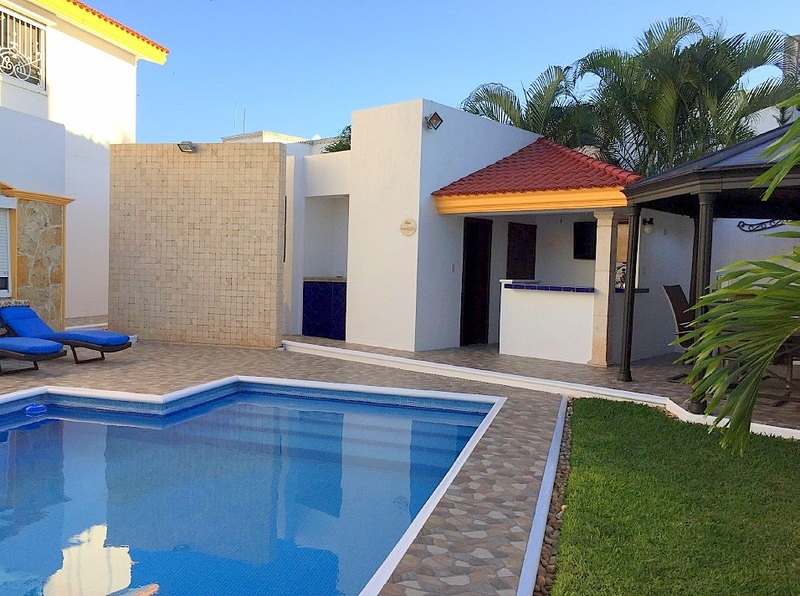 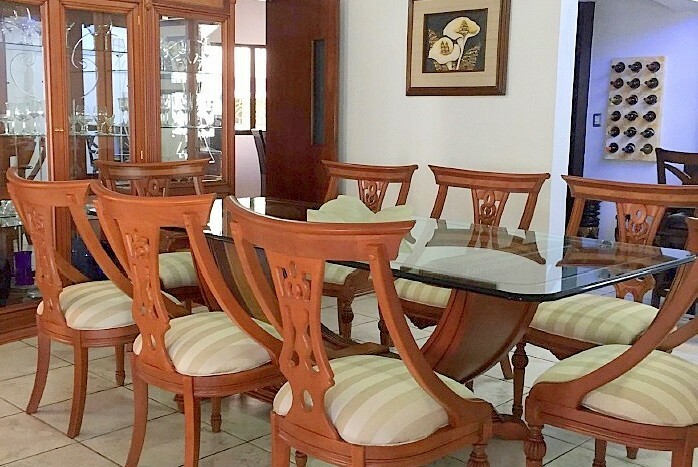 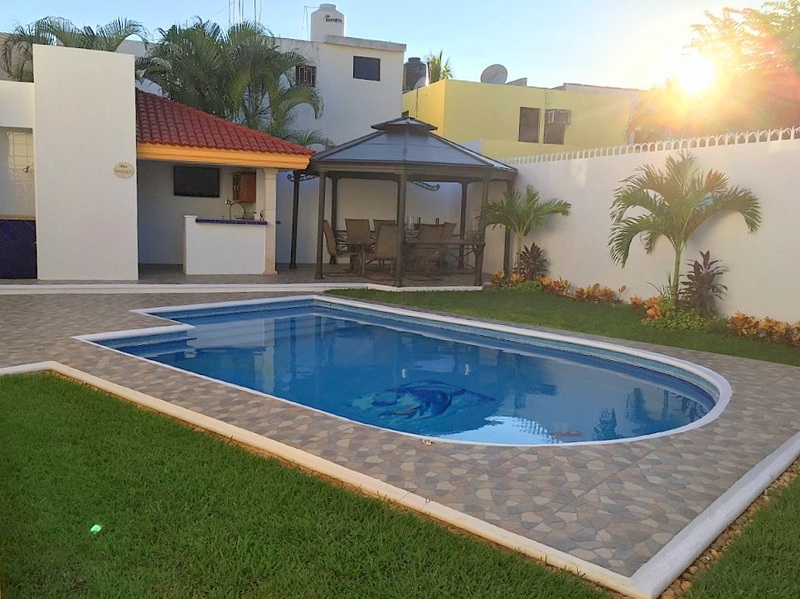 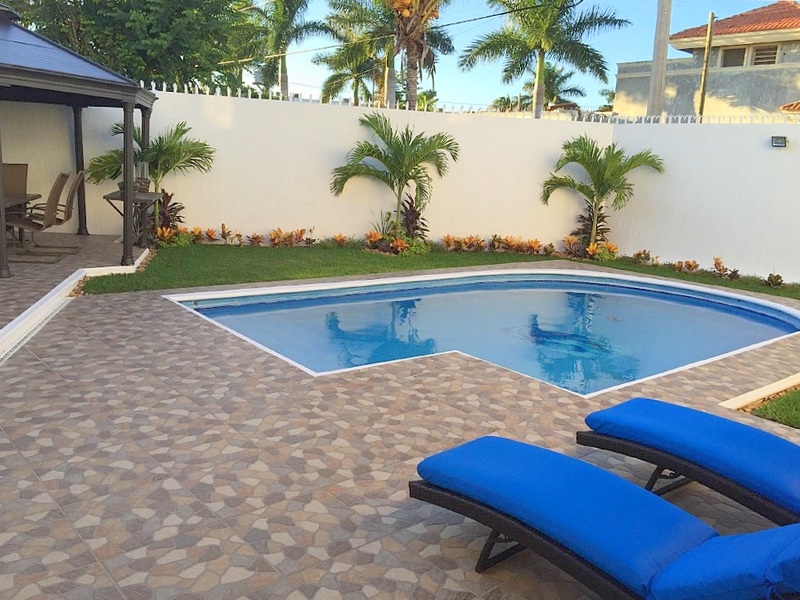 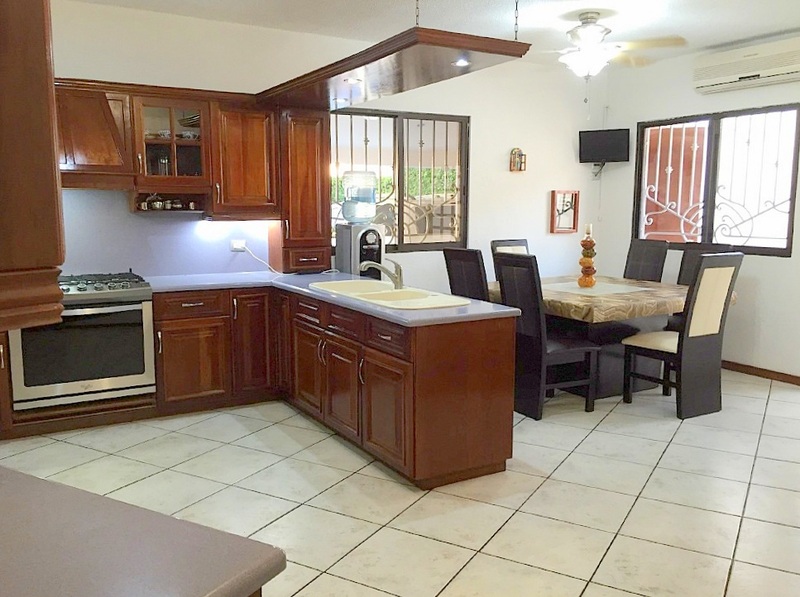 Let DH Real Estate show you how you ought to be living in style in the north of Merida! 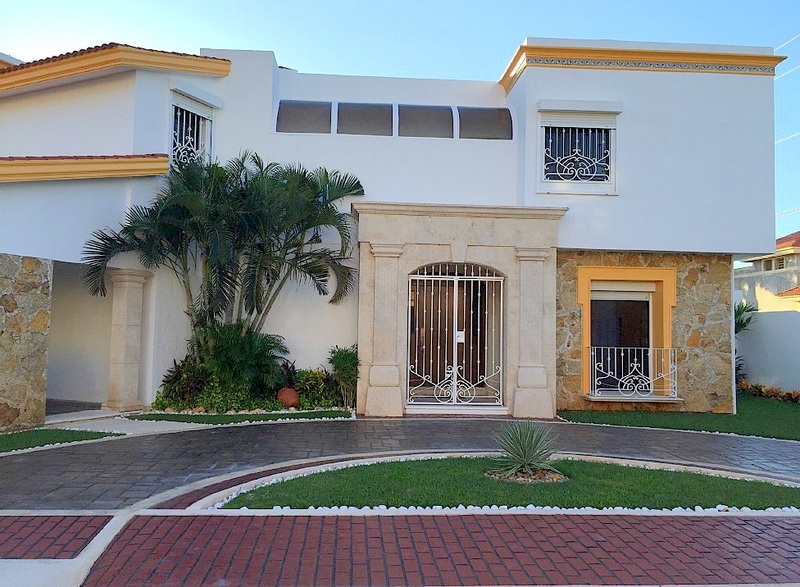 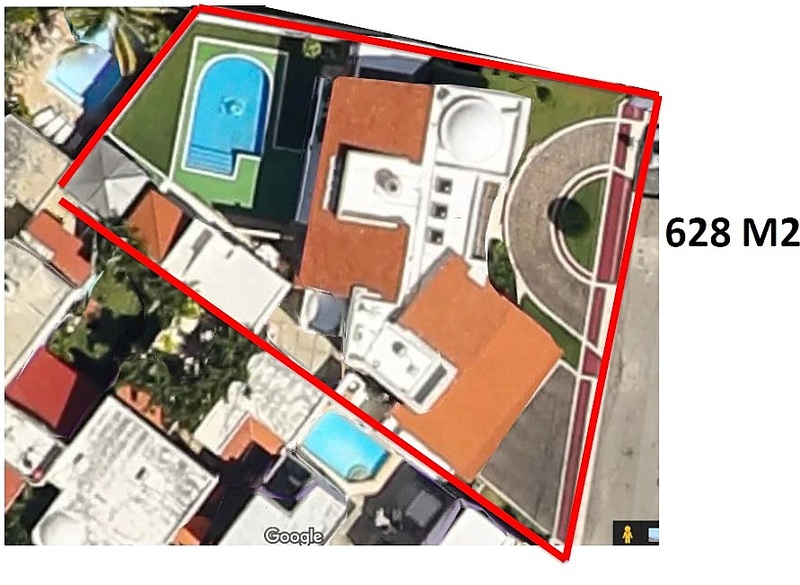 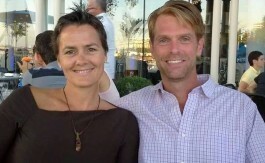 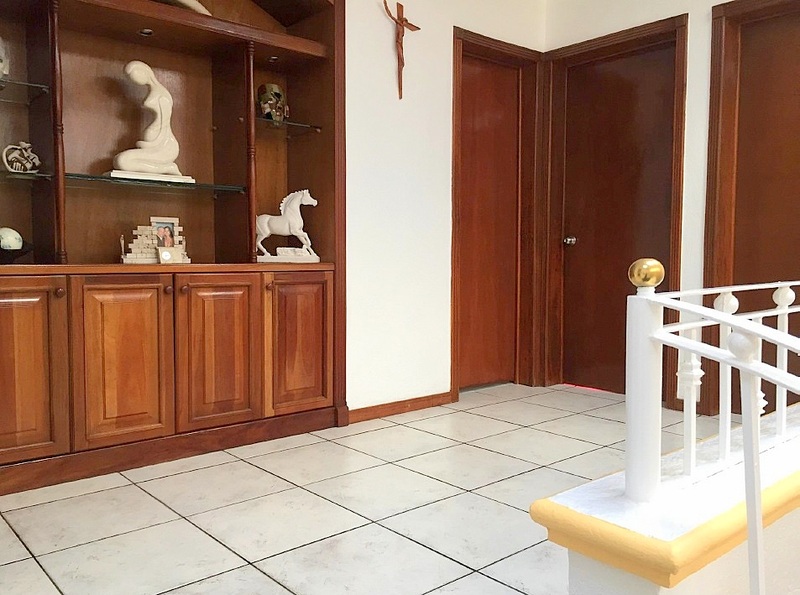 Owner’s actual asking price is MXN $6,580,000.00.